Stevie Bain is the Sales Manager for the Glenview Office. 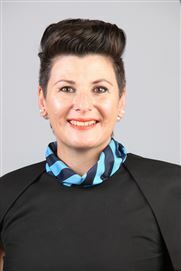 Prior to her management appointment Stevie was a well-respected Rural & Lifestyle sales consultant within Harcourts and has been an integral part of the successful real estate team; Team Bain & Bain which covers both the residential and rural segments of the market. Stevie prides herself on consistently delivering results and exceeding targets. Her working background involves sales and account management, where she was managing some of the companies largest sales portfolios. 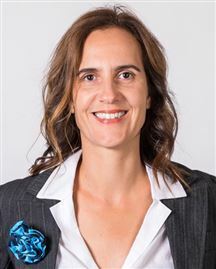 Stevie and her husband Rupert are active property investors and landlords and she additionally holds her property management qualification, Business Management diploma, Salesperson licence and Bachelor of Science degree. Stevie is also in the process of completing her Branch Managers qualification. Bruce Tyler has had a lifetime interest in farming and experience in all aspects of farming life and the business of modern farming. The last 8 years have been spent bringing buyers and sellers together and effectively marketing and promoting farm sales. Whether it’s sheep, cattle, kiwifruit or deer; draft the early lamb, catch the heifers in the first cycle, and pack the “kiwis”, while the stags are still roaring, Bruce is the man for you. Divakar joined Harcourts Glenview office, as a residential sales consultant in 2018. Prior to this Divakar worked in retail customer service. He has lived in New Zealand for 10 years and has most recently been living in Hamilton for the past 5 years where he owns his own home. (His Home away from Home.) Divakar has been married for 7 years, has two children (Kundanika & Nayanika). His passion towards customer service brings him to enter into the Real Estate industry. Its Divakar’s pleasure to offer his commitment, selling skills, networking skills and his enthusiasm to your next Real Estate transaction. Buying and selling Real Estate signals a major personal or business milestone in one’s life, sometimes it will bring you excitement or anxiety but whatever the case Divakar will be there to support you 100% along the way. The words “TEAM WORK MAKES THE DREAMWORK” resonates with Divakar because he believes in the value of surrounding himself with great people, including you. Networking and word of mouth means a great deal to Divakar so he will seek to build a long lasting relationship based on the results that he will deliver. Divakar’s Positive Attitude, Honesty and Integrity in his personal and work life are key attributes that he offers you, and he believes in good work ethics, strong commitment and a “can-do-attitude”. Give him a call, he won’t let you down. 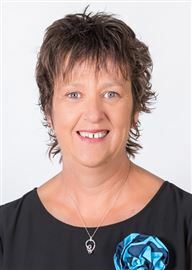 Donna is a specialist in selling residential real estate and is proud to be a part of Harcourts, voted New Zealand’s Most Trusted Real Estate Brand. Donna is based out of the award winning Glenview office but her success in Real Estate has seen her involved with many buyers and vendors right across Hamilton. Donna understands the importance in buying or selling your biggest asset. She is a firm believer that real estate is not just about sales, it is about people, good service and problem-solving. Donna is committed to going “above and beyond” the call of duty to exceed your expectations. Offering clients, her robust negotiation skills, Donna's persistent, hardworking and caring nature never goes unrecognised. Prior to her career in Real Estate, Donna has worked in many fields to do with sales and communication, alongside some very successful role models. From past sales roles Donna was awarded the elite demonstrator for brand developers mentor by Suzanne Paul. Donna currently lives in Whatawhata and is a mother of two beautiful boys. Known for her friendly and approachable personality she is not afraid to give honest and professional advice. 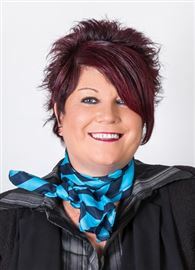 Don’t delay, contact Donna today to discuss buying or selling your next property. Gaurav is a licensed Real Estate Salesperson under Licensed Agent REAA 2008 who is committed to provide a high level of professional services to potential clients on all aspects of purchasing and selling property in Hamilton. Enthusiasm, professionalism and service, these are the 3 key components he feels every vendor and purchaser should receive when dealing with a real estate agent, and that’s exactly what he brings to the table. Buying or Selling a home is one of the most important and rewarding decisions one has to make and it requires guidance and professional knowledge. With the excitement often come stress and uncertainty. Let Gaurav be alongside you to answer all the questions. Gaurav speaks English, Punjabi or Hindi and provide you up-to-date information throughout your home buying or selling process. Gaurav's aim is to develop and manage relationships with clients and existing customers, providing them with the utmost level of professional support. Gaurav's job is realising his clients’ dreams and understanding that he's selling their largest asset – their home.” Let Gaurav take the stress away with the marketing of your property. 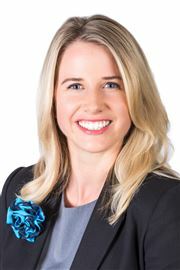 Born in Hamilton Kirstin is familiar with the advantages that owning a property in Hamilton affords. 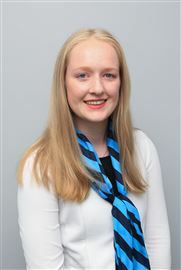 Kirstin brings a sound knowledge of the industry and with ten years’ experience in media - print, radio and online she can guide you in the best marketing option for your property. Kirstin’s attention to detail, enthusiasm, integrity, tenacity and passion for results make for an enjoyable, results driven experience when you work with her. Her attitude to offer the best service and her goal to be an award-winning agent, Kirstin works hard for her buyers and sellers alike. If you are buying or selling, looking for a current market appraisal, or would just like to have a chat give Kirstin a call on 022 036 6198. Sarah takes a personal approach to real estate. What is it that makes a home special and who are the buyers that are likely to appreciate it? While researching and understanding the property market comes easy to her trained analytical mind, Sarah also knows about the importance of the history of a place. She is patient and willing to listen and learn to increase her understanding of a home. Her German work ethic and decades of experience in the service industry make her efficient and goal oriented. At the same time, she enjoys working with vendors and buyers, and her kindness and empathy help her clients in this busy time of change. 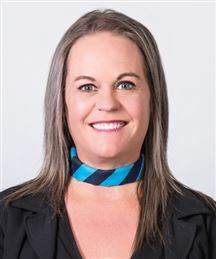 Stacey is a proven and trusted Real Estate Agent who specialises solely in the Rural and Lifestyle Market, and consistently performs to a high level of success. Stacey’s achievements are the result of her passion for the business, hard work, a deep understanding of the industry and the wants and needs of the many individual clients she deals with. Innovative and effective marketing has also helped Stacey in her quest for outstanding results. Stacey's in-depth knowledge in the field of auction has produced extraordinary results for many of her clients. "My success in real estate comes through good communication - listening to and understanding my client. Let me tailor the best solution for your situation" - Susan Taylor. It sounds simple, but not everyone has the natural empathy, talent, skills and drive to make it happen. That's what makes Susan Taylor so special. It's also what has enabled her to be amongst the top in her profession. That's quite a phenomenal achievement, one that speaks volumes for her total commitment to her clients, her knowledge of the Hamilton real estate market, her sheer tenacity and perseverance, her strong negotiating skills plus an innate ability to strike a genuine rapport with people from all walks of life with all manner of personal aspirations. Susan has an absolute passion for people and property and a willingness to work as long and as hard as it takes to get the results her clients require. This dedication has been rewarding for Susan both professionally and personally with referrals and repeat business - the very best accolade she could want. With a real estate career spanning almost 7 years, Susan has been consistently in the Top 15 in Hamilton. From her first year as 2004-2005 'Rookie of the Year' til the present, her sales and business support have been instrumental in ensuring that the day to day needs of her clients are met - and that they are kept fully informed during the entire marketing process. Tony was born in Hamilton, has lived most of his life in Hamilton and in the surrounding areas. He presently lives in Ngahinapouri, Paterangi district where he has lived for the past 34 years. Tony has taught classes at Les Mills World of Fitness (Body Attack aerobic classes) which he had done for 28 years and resigned so he could direct more energy into his Real Estate career, however he still frequents the gym on a regular basis. 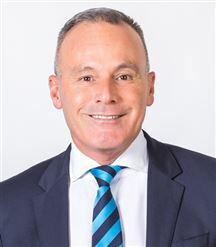 Prior to commencing his Real Estate career, Tony worked at Health Waikato where he spent 10 years as a Registered Nurse. The first five years were in Palliative care/Oncology department and the remaining five were with community health. Initially as a District Nurse (Hamilton’s first male District Nurse) and in the later years as the Oncology/Palliative care Resource Nurse and was involved in the initiation of Intra Intravenous therapy in the community. 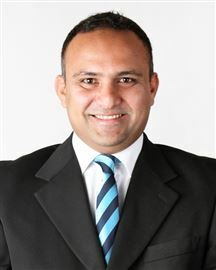 Tony commenced his Real Estate career in 1997 which he immediately loved and since then he has excelled in his field. His roles have included Sales Manager, Sales Consultant and he is also a Licensed Auctioneer. Throughout the years Tony has been awarded numerous accolades and is highly respected in the industry by colleagues and clients for his professionalism and integrity and has his goals set to succeed in the coming years. During the past 21 years the awards he has obtained have been due to hard work, persistence and his love of the real estate industry. He has now sold in excess of $215 million worth of Real estate. To assist Tony with his daily roles he now has a dynamic team to ensure that the service he offers to his clients is one of excellence which he prides himself on. Having a team allows Tony to deliver the service that he would expect and this ensures that all of his client’s needs are met and that all generated leads are followed up. In returning to Harcourt’s, Tony’s focus is building on the existing success of the Glenview Office, leading by example with his high standard of client service to achieve the dreams and aspirations of both his clients and his team and ensuring that the success of this award winning office continues to thrive in the coming years. In his spare time Tony enjoys relaxing, entertaining family and friends at home, gardening, cooking, time with his dog (Satchmo), skiing, jet skiing and travelling. Brand new, and what a view! Make your next move now! Buy Brand New at $419,000!! Make your mark on me.. Vendor has bought - MUST SELL! It's a Whole Lot of Home! Don't Delay Buy It Today! On the edge of town! 4 Bedrooms and on 1816m2! Priced HOT - Don't Delay! Buy New - You Deserve It! Our instructions are - Sell! Ditch The Land Lord, Now!! You need to be quick!!! Fabulous buying at this level!